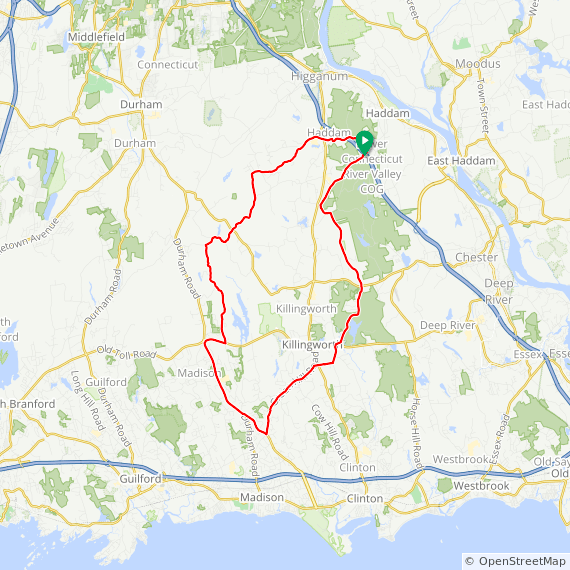 Description from CTBikeRoutes: This ride is over mostly back country roads with beautiful views of ponds, small lakes, horse farms and rural living. Early in the ride you will pass along the Cockaponset State Forest. The terrain is mostly rolling with a few hilly sections along the way. 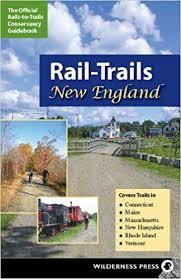 This is a beautiful ride from start to finish and if ridden in the fall, the foliage is spectacular. Start: Rt. 9 Exit 8 (Beaver Meadow Rd.) Commuter Parking Lot in Haddam CT.